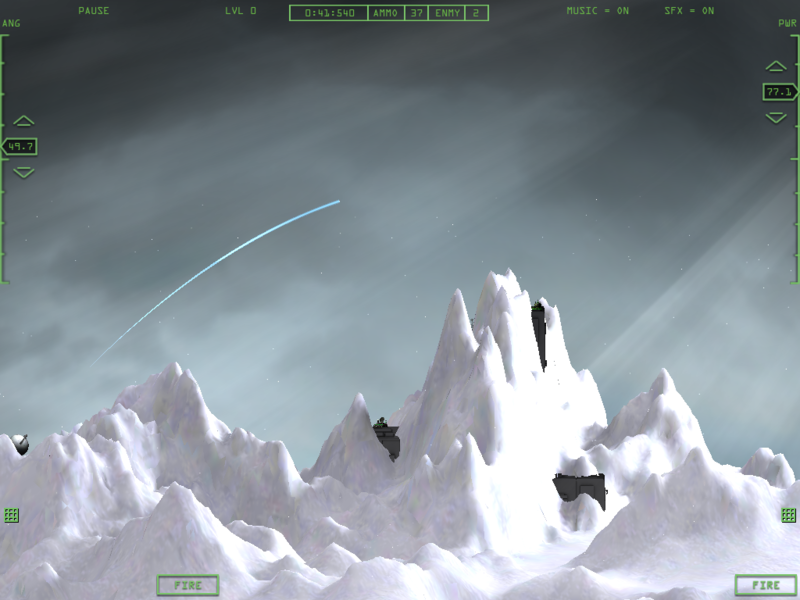 [tweetmeme source=”neoRiley” only_single=false]★★★★★ NEW ICE PLANET LEVELS COMING SOON! 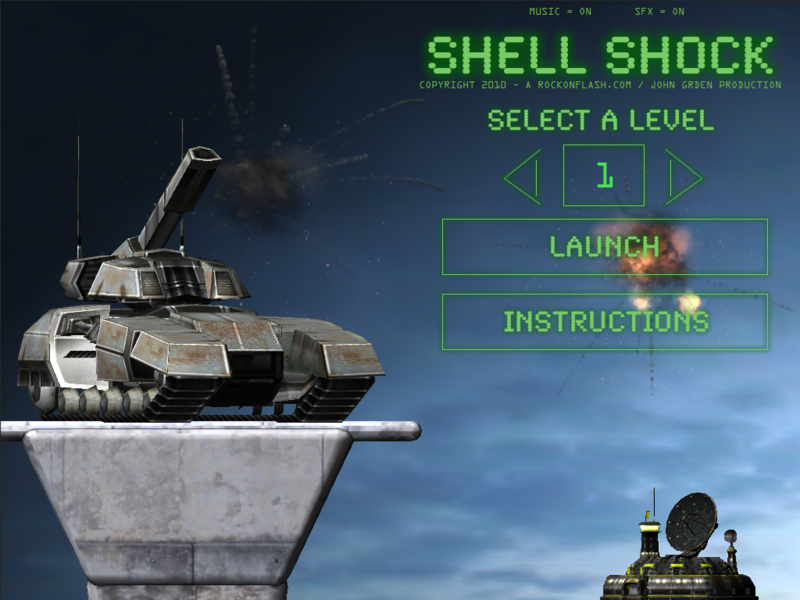 New versions of Shell Shock and Shell Shock LT have been submitted to the app store this evening for review! They should hopefully be available to you soon! 1. Added OpenFeint Leaderboard support for all levels. Time and # of shots are recorded for a final score. The lower the time and shot count, the better the score! 1. Controls – Completely rewritten to support 0-90 degrees for angle and 0-100% on power setting. 2. Touch control fixed – The sliders have been fixed and respond to normal usage perfectly now. 3. Bug fix with blowing up a target with last shell and game would not end properly. ★ Shell Shock is the classic angle & shoot game where the player uses angle and power to fire shells over obstacles at their targets. ★ Created from the ground up exclusively for the iPad, this game brings a solid game concept to an entirely new level! ★ Work your way through 20+ levels of full 3D environments along with a beautiful sound track and sound efx! The first 10 levels are training levels. Safe in the confines of your home planet, you sharpen your skills until you’re ready for the REAL battle field! The NEXT 10 Mission levels are spent in Battle! In this first campaign, you find yourself immersed in a twisted and sinister world full of darkness! Will the future Battles be in-app purchases, or will they be free upgrades? Good enough for me. Bought it. Thanks! Be sure to leave a rating or review if u dig it! I can’t fault the look of the game, and the gameplay is fun if you enjoy figuring out shot angles. Know that nothing shoots back (as far as I know – I’m only 5 levels in) which is just as well since you can’t relocate your tank. This isn’t Scorched Earth. There is only one type of missile, because there is only one thing to do: hit all of the targets before you run out of missiles (40 each level). 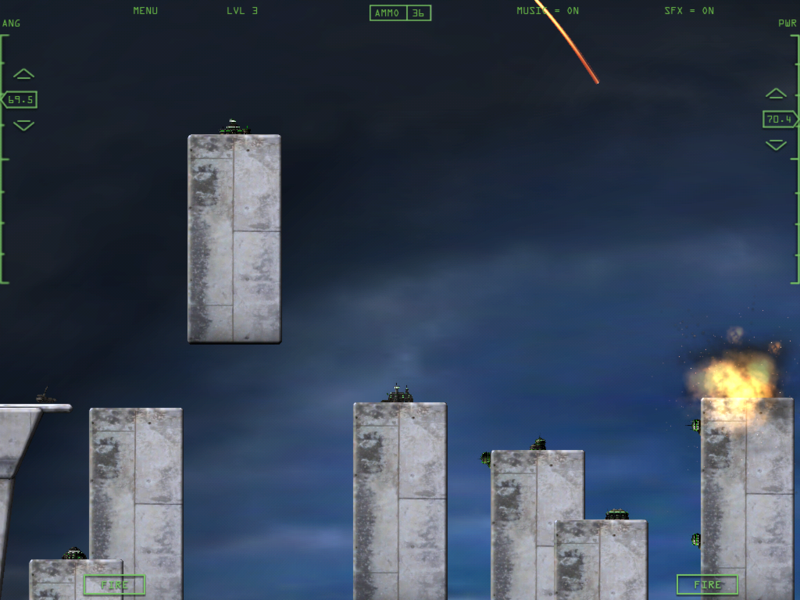 The targets can be tricky to hit, made more tricky by the aiming system. If you watch the video at the home site, you’ll see it’s being played with a mouse. This allows for fine control using the triangles above and below the number box. On the iPad, these triangles work the same way as using the number box. Taping on them doesn’t seem to do anything; holding and dragging on them moves in the same increments as holding and dragging on the box without the added effect of popping out the white outlined box that you get by holding and dragging on the number box itself. So the triangles at this time are useless when aiming on the iPad. edit: I just realized that if you tap fast on the triangle it does nudge the amount either 0.2 or 0.3 which is a bit helpful when aiming, but you have to tap fast for it to work and it still isn’t as helpful as if it were 0.1 every time. The other problem I have is the numbers are very hard to read against the background much of the time, especially if the background is white or grey. Even in the white boxed flyout, it’s still hard to read. If the flyout box were solid white instead of fuzzy white outlines and the text inside were black instead of light green, it would be more helpful. Stat tracking of some kind would be nice as well. In conclusion, the aiming interface needs help. Otherwise, it’s a fun, good looking aim game and I look forward to what will be done with future campaigns and updates. WOW, thanks Collin, I really appreciate your feedback. As an interesting note, I hadn’t ever seen or played scorched earth until after I released this game. 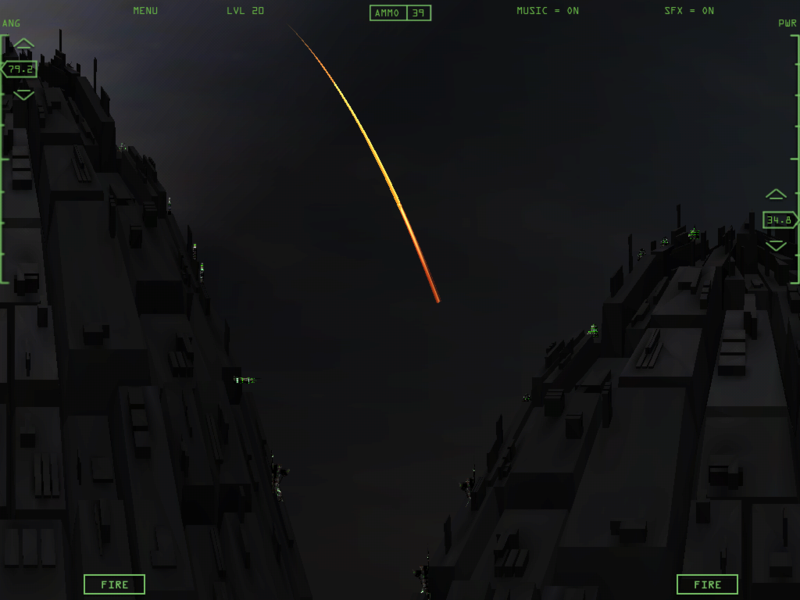 I’d played another game that was way less complex than scorched earth, and I loved it. I’m sure it was based off of scorched earth after having seen it on YouTube. Yes, I’ll also fix the hard to read numbers issue – thank you for bringing that up. Something is wrong with the new update to this program. After playing it, the iPad touch screen would not respond to touch on the desktop or anything. Rebooted and the iPad would not recognize any wireless networks around me and there are at least 10 including my own. After a home button/power button reboot, all was ok. Your latest update of Shell Shock has a big problem. 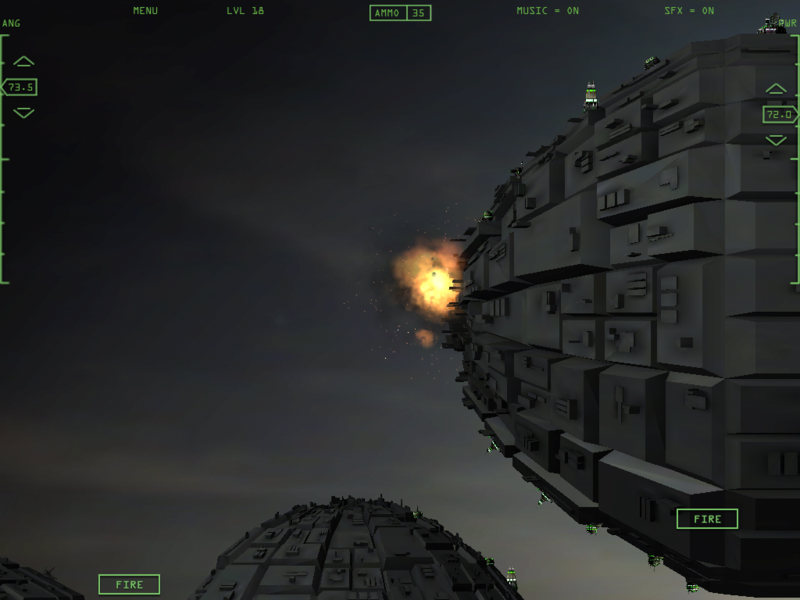 The controls for elevation and ammunition sometimes move in the opposite direction. This game worked great when I first bought it. But like the other people are saying,the angle and power controls are getting hard to adjust for small amounts, small up and down arrows almost useless. Seems to get stuck at the top 100 For power and 90 degrees for angle, difficult to get pulled down from those points. 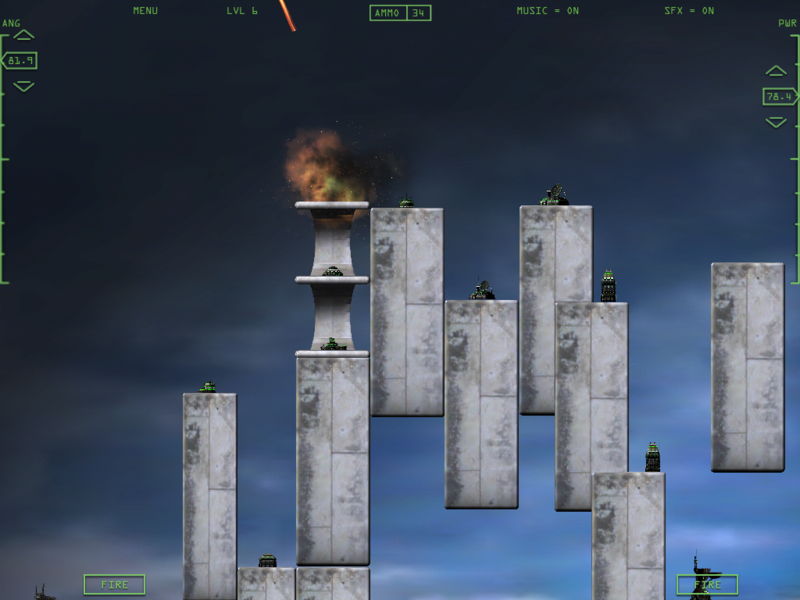 And level 6 is very difficult, but Im working on getting past it, not easy! I’ve been working hard to add OpenFeint leaderboards which work well right now. They record Time and shots fired to give you a score. I think people will dig that type of competition! Was working fine, today’s until today’s up date. Now it locks up in the beginning. Suggestion? Yeah thanks for asking! I had the same thing happen to me this morning, and my impression was that it was OpenFeint issue since it froze on the white screen for OpenFeint. So, I don’t know if it was me or them, but what I did was restart the game, and select the OpenFeint icon in the bottom left before it auto-popped up, and it worked fine from there. I think it was an issue with OpenFeint issue, because I couldn’t get the leader boards to come up. Kept getting error message from OpenFeint to try again. I loved it. Kept me mesmerized for hours while playing it. Fun, fun, fun for this old guy. I like this a lot. You have captured the essence of this type of game well. I would love to see a two player option maybe with our bases and theirs intermingled, and their tank at a slightly different location so they cant copy you angles and power, etc. A minor issue I have found: I Paused on level seven and was going badly so decided to restart. I hit restart and it refilled my ammo and restarted timer but still left only a couple of bases for me to destroy :-). When is Campaign #2 going to be ready? 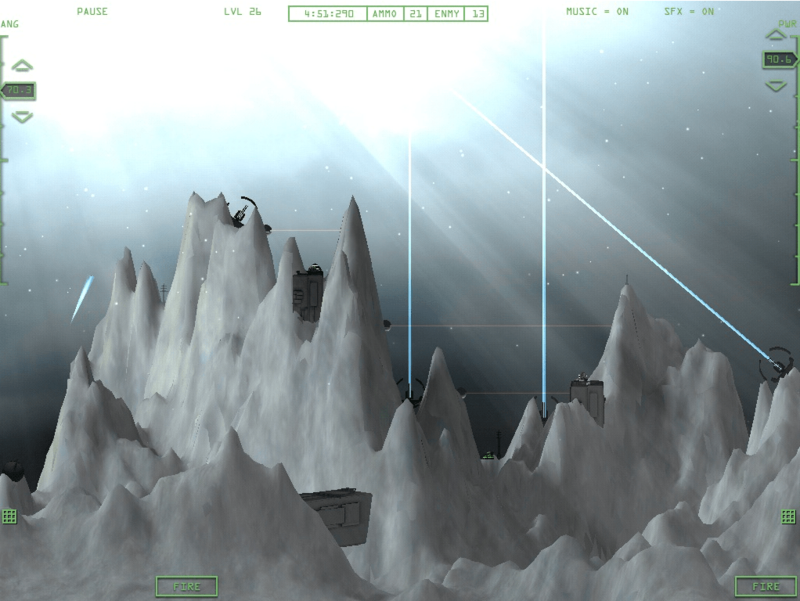 I’m working on the Ice Planet levels right now as we type! Check above for screenshots – I’ll post as we go! Hey James- thanks for playing Shell Shock first of all! As for strategy, there really isn’t any. I *can* tell you, however, that all levels are completable and have been tested in this area thoroughly. There are some shots in the game that took me a while to hit (and I’m the guy who wrote it) but they are all 100% hittable. Great update. Glad you took the difficulty up. Much more challenging than before. What do you think of putting flying ships in the levels? Where we have to hit moving ships also. Mix them up. Maybe where our launcher gets attacked. I have one issue with the difficulty. Don’t get me wrong, I do appreciate it being more challenging but some parts are just extremely hard when you have to get the timing just right. I have found myself writing down all of the coordinates to get positioning right but then you have the timing to contend with. The timing can really use up the ammo quick. Yeah, it’s definitely alot more challenging 😉 One tip I can give you for the Ice planet levels is shoot as direct as you can. Shooting low with power gives you a MUCH bigger window in terms of time with the blue beams. When I was first testing these levels out, I was shooting normally/high and it was very difficult – but when I changed it to more direct shots for the red beams, I found that the window of opportunity was significantly better than high shots. Thanks for taking time to write this out! I’ve read it carefully, and I’m not sure I completely understand about where the thumbs are, and where the numbers go – any chance you can email me a diagram/layout? I’m always looking to make the controls as easy/intuitive as I can. I had actually spec’d out a version of the controls with a single circle area where you could do everything with one thumb on either side. You’d just rotate around do adjust power/angle and hit the middle for fire. But I ran out of time on it and at that point, it wasn’t really ready for prime time yet. Hey Tom, can you tell me what you do see and where it dies? Is it consistent? Do you get the sense it’s trying to make it into OpenFeint? Have you used OpenFeint with Shell Shock in the past? Thanks man, let me know! Terrific Job, i enjoy the app! I discovered your app on itunes and Ill be adding it to my site whenever I post my next updates. You might get a couple of downloads from it. I want a refund. 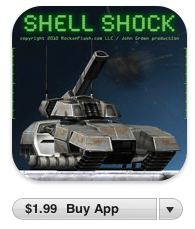 I bought it thinking it was the new game Shellshock that they have on steam. Can I get a refund?